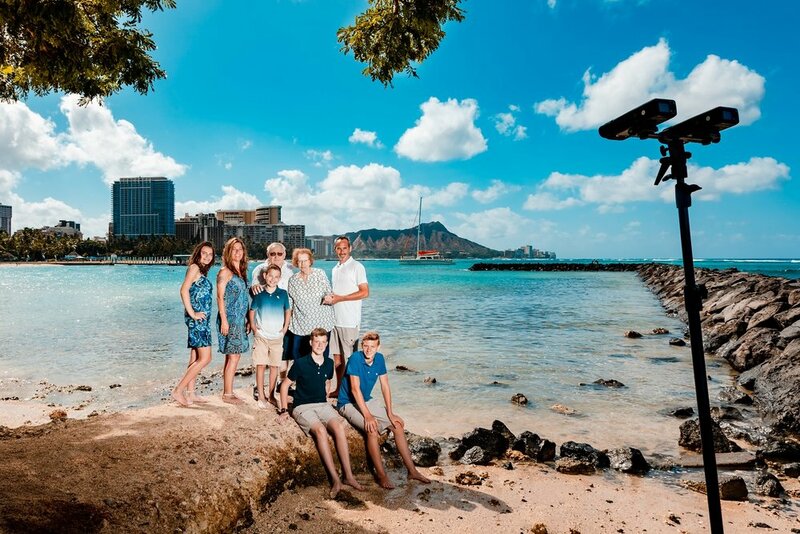 For those of you who want to catch a glimpse "behind" the photos here on the website, here is a a great way to see me at work and what it looks like during a family or couples photography session from the photographers perspective! I take these videos by attaching a GoPro to the top of my camera (you can usually hear my shutter clicking!) or sometimes to my flash stand, or I hand it to someone there with us. Sometimes you will see the flashes firing but most of the time you won’t because the flashes are so short in duration they tend to happen between video frames. I try to keep the videos under two minutes or less, to keep things short and sweet, but now and then when I get some much awesome footage, I just have to include more! Behind the scenes short GoPro video of a family portrait session, with 3yo Miles getting tossed in the air by his dad. 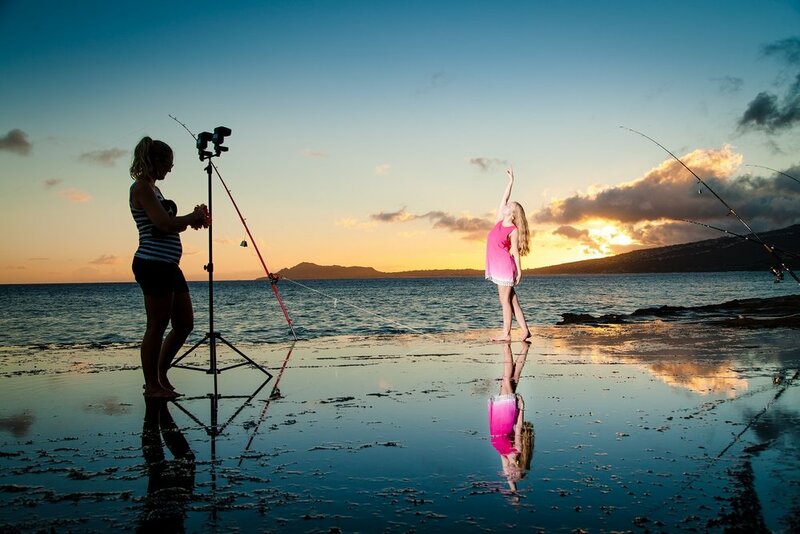 A short behind the scenes (BTS) video of a small part of a Maui family portrait photo session on the beach at sunset. Behind-the-scenes video highlights of a morning maternity photo session with Sara & John at Sherwood Beach (and forest) in Waimanalo, Oahu Hawaii. 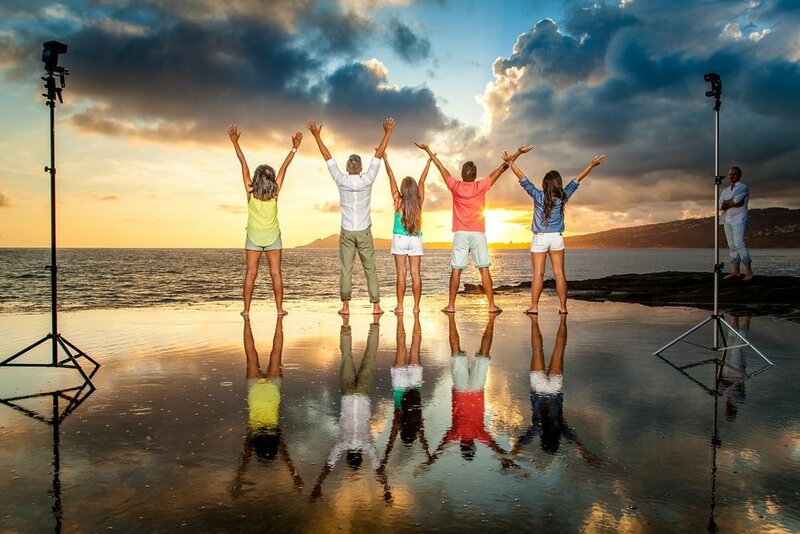 A fun behind-the-scenes look at what it took to get that one perfect family beach jump shot. Sometimes it takes a few tries to get it right! Filmed with a GoPro mounted to the hot shoe of the camera. As a family photographer, it can be difficult getting young children's attention in a normal setting. But at the beach, in the waves? Almost impossible! 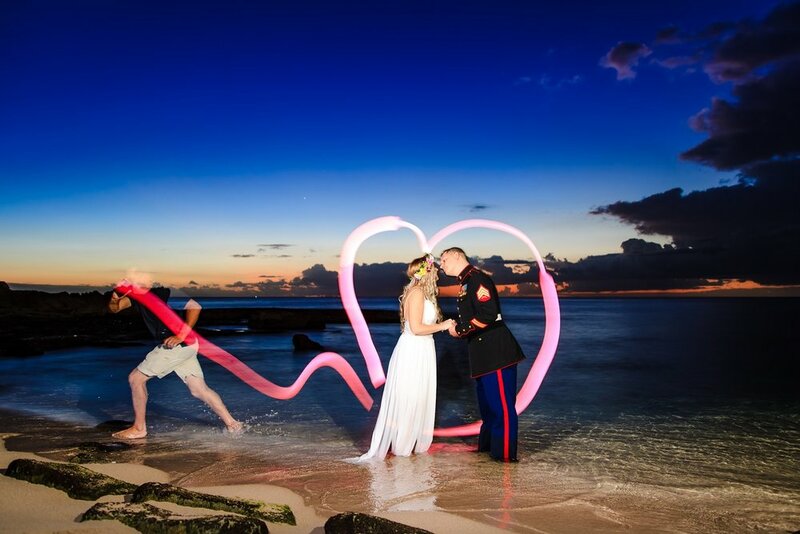 So sometimes I have to resort to all kinds of silly things to get that perfect family photo. Sisters Mckenna & Adyson get little wet during their family beach photo session on Oahu. Location: near the Disney Aulani and Four Season's Resort in Ko Olina.